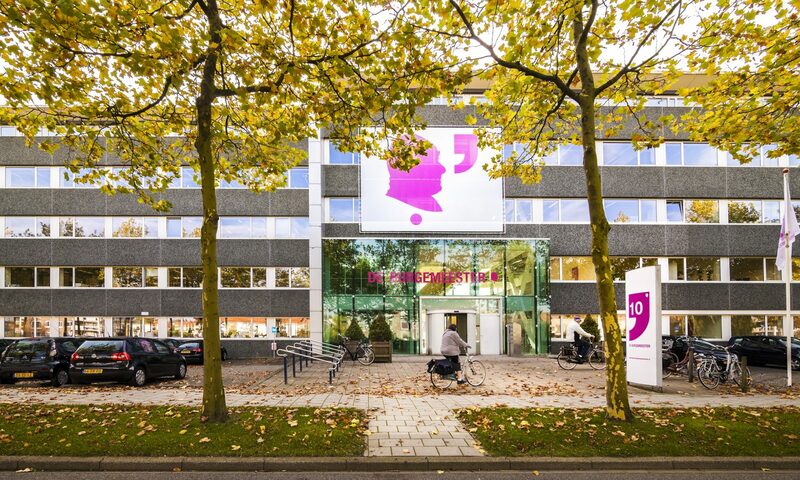 From an abandoned, anonymous office building to a vibrant multi-tenant complex.The renovation of De Burgemeester turned financial challenges into a positive opportunity that taps into the shared economy. 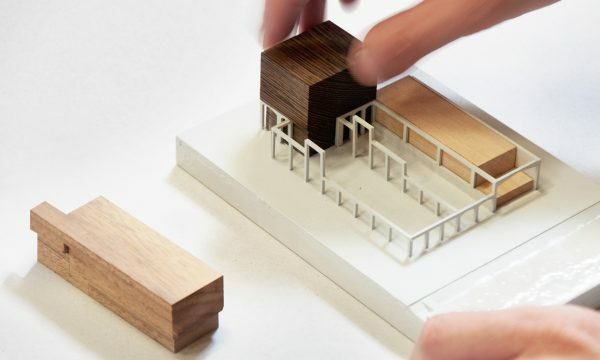 As it turned out to be unfeasible for a single client to occupy the entire building, we proposed that individual entrepreneurs join forces to share the office together. Since the lowered budget ruled extra amenities in the offices, we wanted to find a way to maximise the budget we did have. 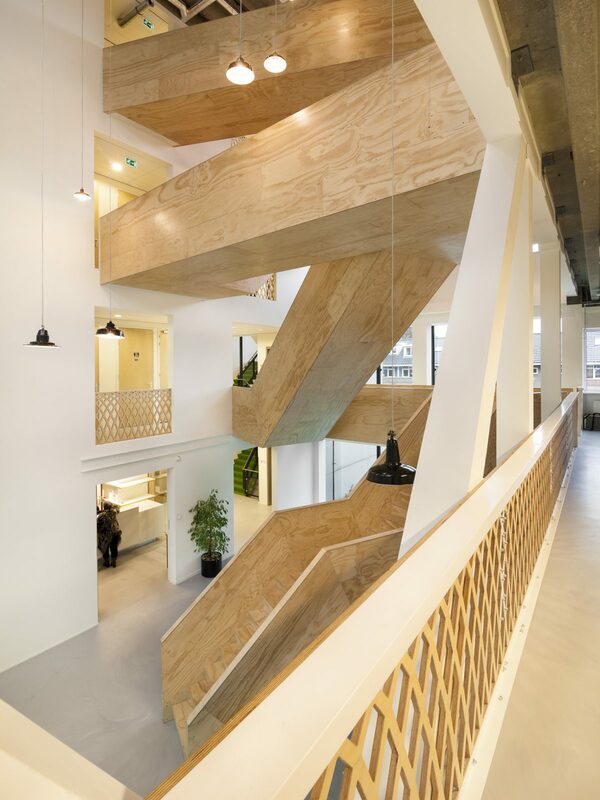 In this way the workspaces have a basic fitout which enabled us to channel more resources into one spectacular, shared space that boosts the whole building: a vertical lobby. 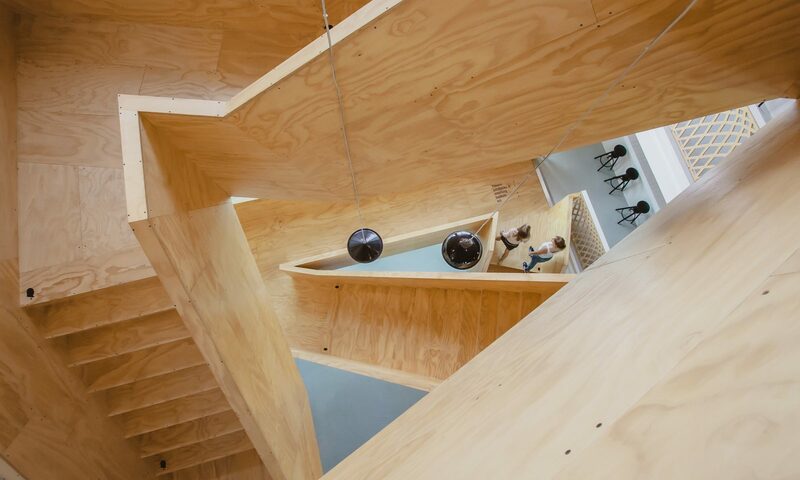 Out of the concrete floors we carved a 14-metre-tall void to make way for a giant timber staircase. It cuts diagonally through the void as it meanders upwards, linking the different floors to one another. Now people are on the move, making their way back and forth on the timber steps. Some of them linger for a chat, and there’s space on the broad treads to sit for a moment. The sound of chatter and the aroma of coffee from the café below now fill the hall, giving the building a new lease of life. De Burgemeester also features in our WeSpace-film. Meet me at the stairs! 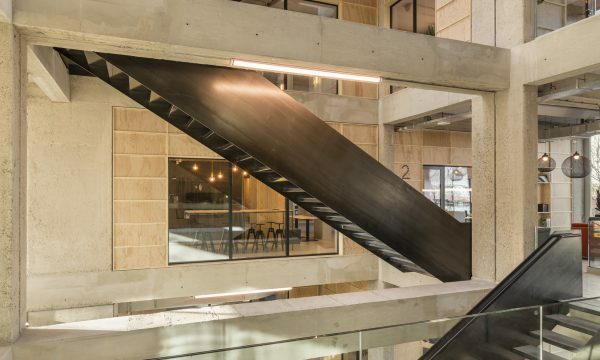 The new communal heart of the building focuses on a sculptural staircase, a social space where people can meet, a place that connects people to one another both literally and figuratively. Shared functions like the café, meeting rooms and coffee corners are organised around this vertical lobby. 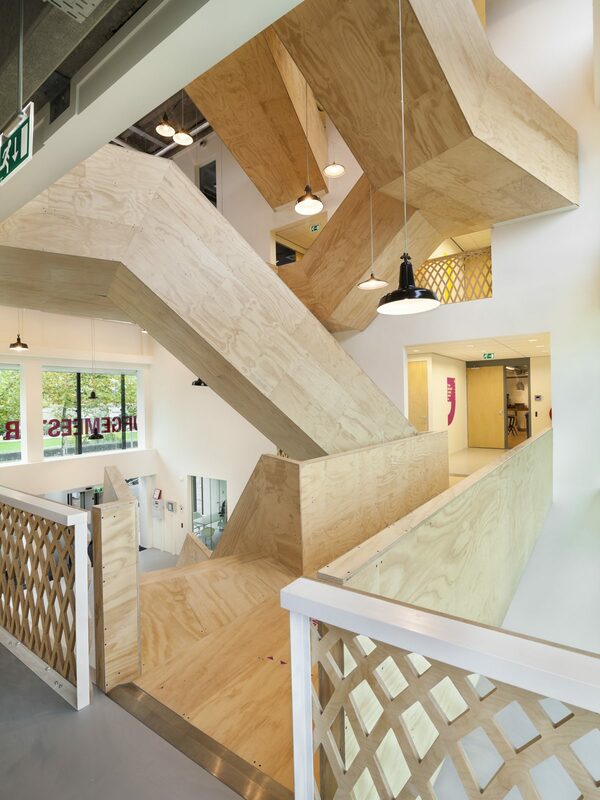 The staircase, as a tool for communication, lends the building a new collective identity. As a vertical lobby that connects all floors and views over the whole space, it reminds occupants that they are part of a bigger picture, which is the main quality of this building. Maximising the building’s existing qualities. We enlarged the existing void and opened up the facade to increase daylight and improve views of the surrounding neighbourhood. The openness and transparency achieved through the addition of glass partition walls and the voluminous atrium ensures views to the outside from almost everywhere within. Suspended ceilings have been removed to reveal the authentic concrete floor with T-beams. 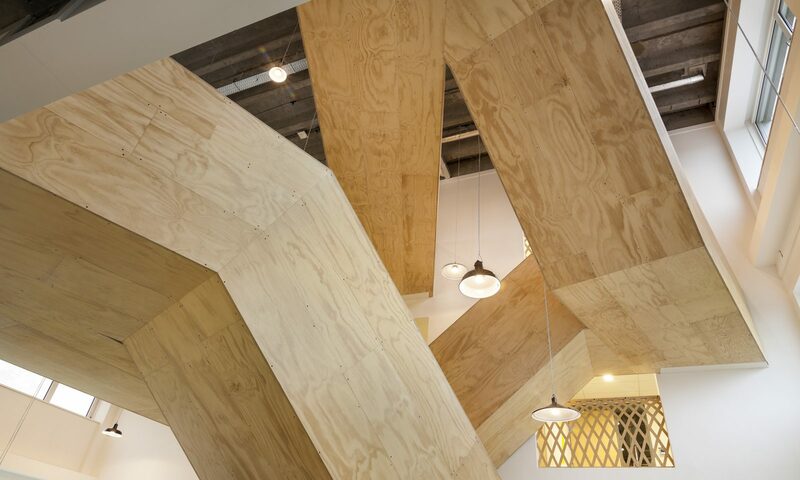 Now this rough, column-free load-bearing structure drives the building’s atmosphere. To complete the story, we also designed the building’s visual identity. The leitmotif for the colourful graphic design is the comma, an optimistic punctuation mark that evokes positive expectations. 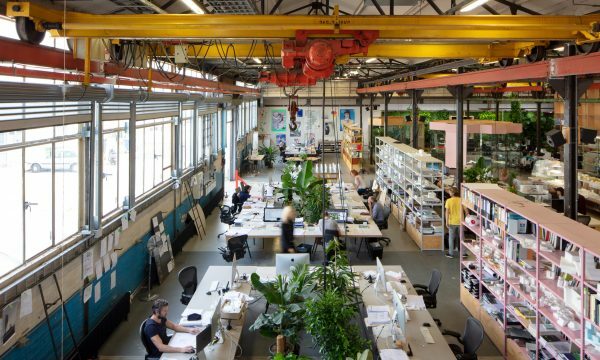 Due for completion in 2020, De Key’s new Amsterdam headquarters prepares the housing corporation for the future with a transparent, social and flexible workplace.